Watching: I love this movie. Drew Barrymore is awesome! Reading: I really liked this issue of Scrapbook Magazine. I don't usually purchase this magazine, but I am considering subscribing to this one and maybe a card making magazine as well. Listening: I used to not really like this song, but now I'm starting to like it. 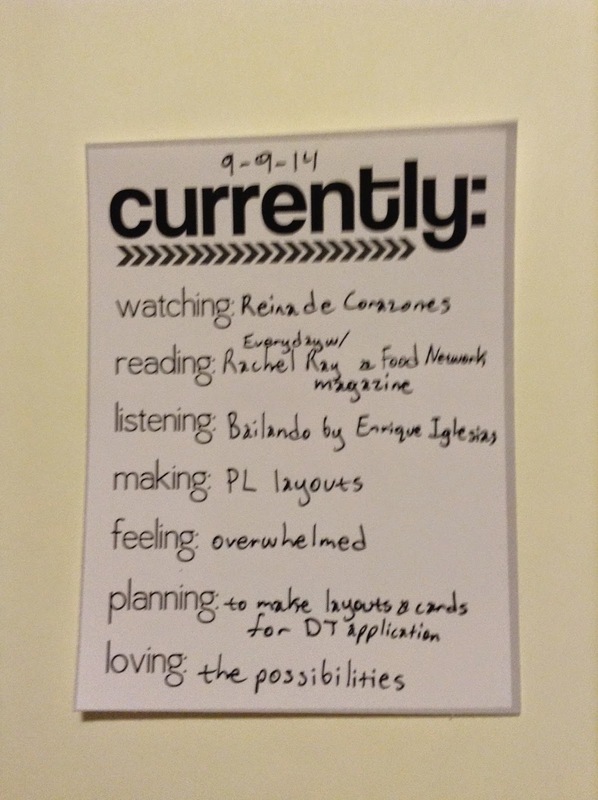 It was nice to listen to while I was making cards and reading blog posts. Making: I love Fall! And I just had to make some more cards, but this time they were Fall/Thanksgiving/Thank you themed. I really loved how they came out. I need to figure out a better way to adhere doilies to cards though. Feeling: It's been a good morning and afternoon so far. Hopefully the day continues to be great! Planning: I need to work on some Project Life layouts. I'm trying new techniques and have used some Heidi Swapp color shine on one of my layouts. 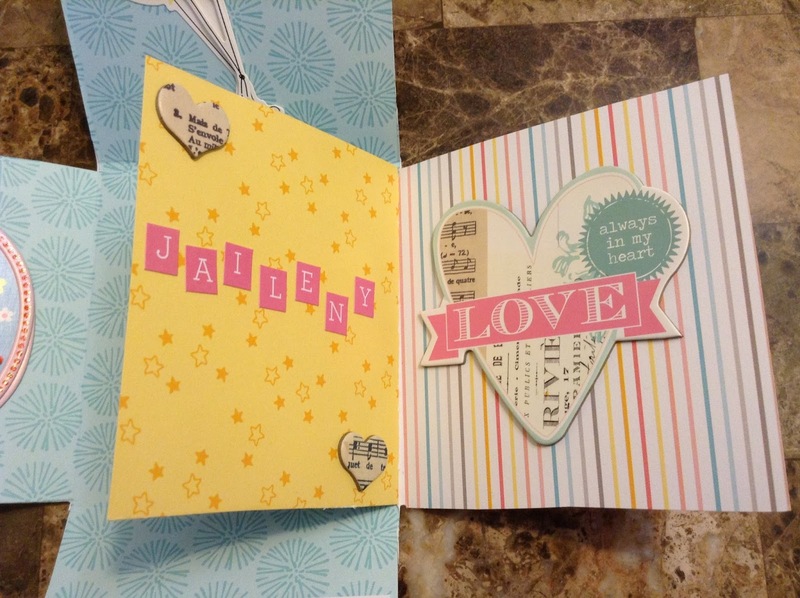 Loving: I love making cards. It's been my obsession lately. I need to make some more Fall cards and Halloween cards (yes, I know more Halloween cards lol). Then I plan to make some Christmas and Birthday cards. Hello! 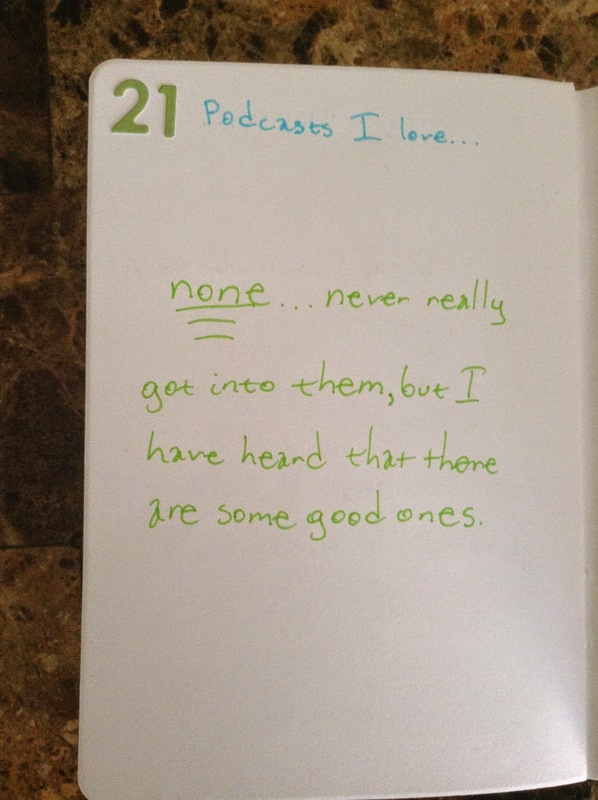 It's Sunday and it's time for another share of my 30 Days of Lists. 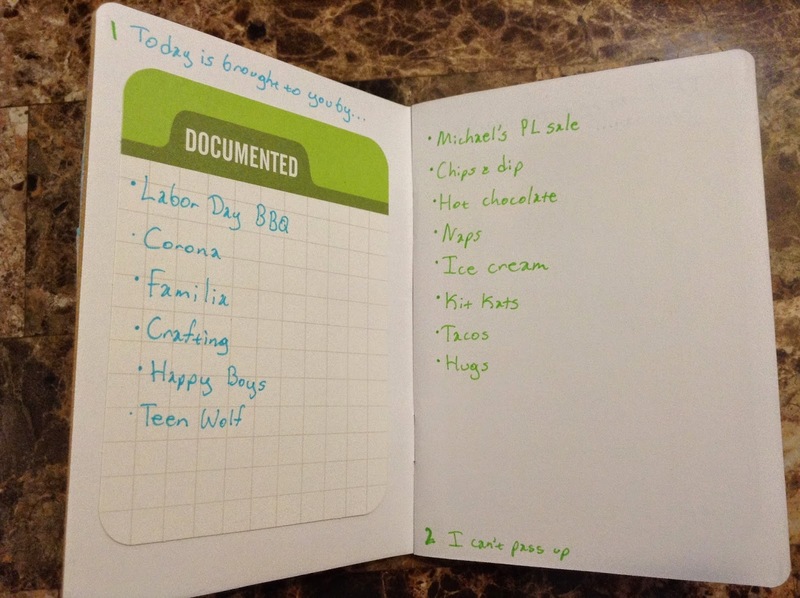 I can't believe that the 30 Days of Lists challenge is almost over and that September is almost over. This month went by way too fast. I don't have my driver's license yet, but I plan on trying to get it soon. I've watched all of the Supernatural seasons at least 4 times (probably more than that). I still haven't watched Star Wars (yes...I know). enough time for myself and lots of time with my family. who knows...life is full of surprises! That's it for today! I plan to post the last two lists either on Tuesday or Wednesday. Lately, I have been obsessed with making cards. I love using white card stock and white folded cards as my base. I'm also learning how to layer my cards as well. I don't want my cards to look too simple, but too "busy" as well. I ended up making a few cards over the past few days, but was inspired by a few cards that I saw on a Project Life Facebook group page. One of the themes was a "Rainy Day" swap. Although the cards that were made were for Project Life albums, I wanted to make a greeting card instead. It was a little out of my comfort zone since I decided not to use a white base, but I like how the card turned out. 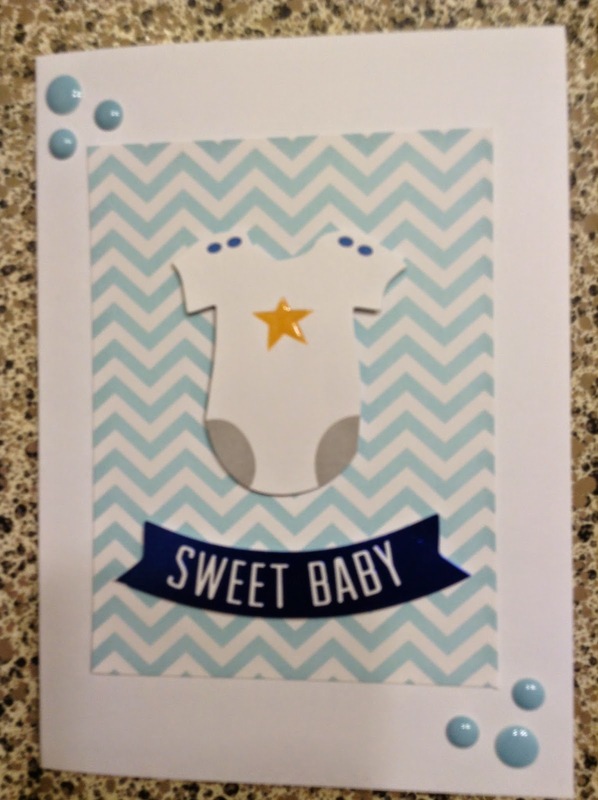 I love, love, love using enamel dots and wood veneers when I make cards. 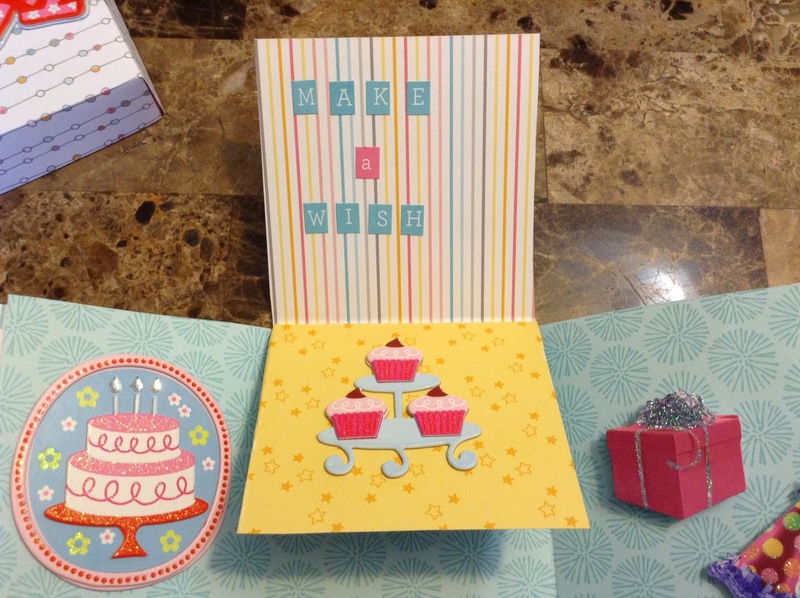 They really do add that "pop" to the card and are awesome to use in traditional layouts as well as Project Life layouts. If you have any questions about this card/project or any other cards that I have made, feel free to leave a comment. It's been such a busy day. I had a lot of errands and to dos. Thankfully I got done early in the afternoon. So I'm really loving that new show Forever. I'm catching up on some episodes and am only like 15 minutes in, but it is so interesting. So I just found out that World Card Making Day is on October 4th. Apparently World Card Making Day is held on the first Saturday of each October. You can find more info here. I'm definitely going to make some cards on October 4th. I can't wait! So I bought this really cute 6x6 paper pad at Tuesday Morning and it's perfect for my December Daily. I'm still debating whether I should have a separate album for it or if I should just have it in my Project Life album. I am leaning more towards just making a mini album and using some chipboard covers. I have been loving using white card stock (for the bases) for my 12x12 layouts in my Project Life hybrid album as well as using white folding cards (for my bases). I did make a card today using the We R Memory Keepers Inked Rose box of cards. I plan on making a post with the card that I made on Friday or Saturday. So I've had my Gelatos for a few months now, but haven't used them yet. I think I'm going to watch some tutorials on Youtube and then try a few of them in my art journal. I want and need to look up some recipes for Fall. I think my crockpot is going to be my best friend for the season. That's it for today. How has your Thursday been? 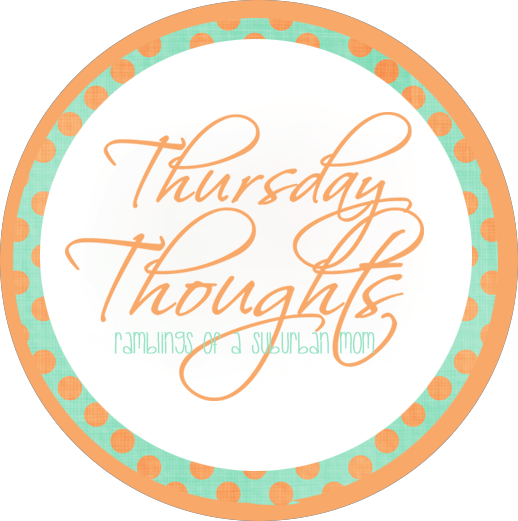 What are you Thursday Thought? Hola! It's Tuesday and it's time for another Currently List! Watching: I think Thor: The Dark World was a good movie. I actually watched this when I came home from work and while we were waiting for my son to come home from school. Reading: I caught up on some blog posts by Ramblings of a Suburban Mom, Dancing Quinn, and posts on the MAMBI blog. Listening: I still love this song! I heard that the band broke up or something which is too bad...if it's true. 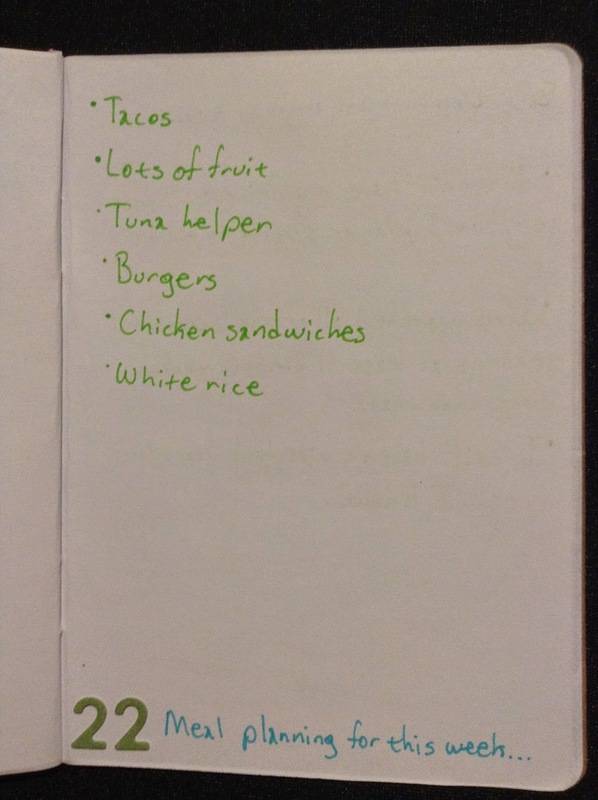 Making: <Sigh> Meal planning is so hard sometimes. We are doing really well and have been eating at home a lot more which is awesome. Feeling: OMG!!!!!!! It's the first day of Fall and I am so excited! I've been seeing lots of Halloween Oreos, Pumpkins (!!!! ), and Halloween candy out in stores which is making me even more excited. Planning: We need to get a long sleeve shirts and a sweater for the kiddos. It was a little cool this morning, but was so nice. Loving: The weather has been perfect today! I loved the breeze. If it could stay like that year round then that would be amazing!!!! Hello there! 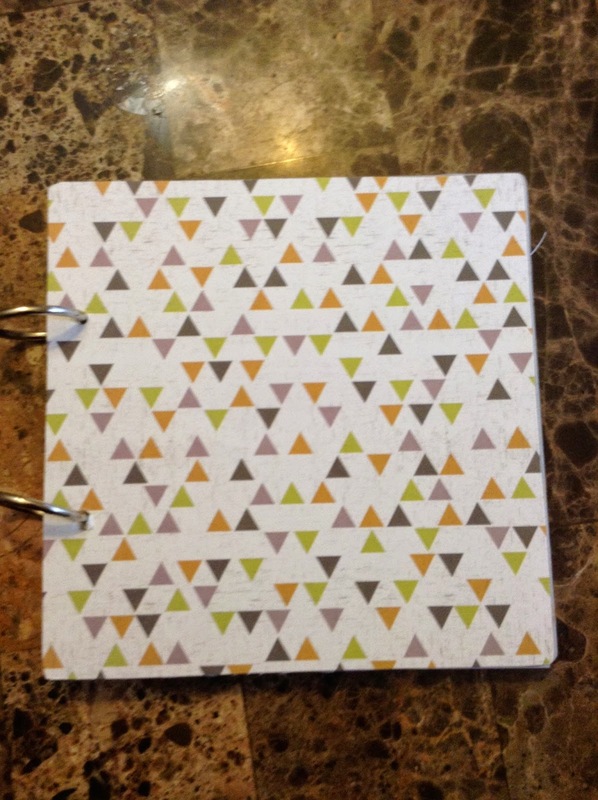 Today, I'm sharing a mini album that I made using We R Memory Keeper's Bewitched 6x6 paper pad. I adhered the paper onto the covers and trimmed the excess paper off. Punch holes into the papers. Select the papers for the album and after putting them in the order that I wanted, I adhered the papers together using the Tombow glue runner. After all of the papers are adhered, punch holes into the papers. Organize and put the papers in between the chipboard covers. Add binder rings and you're done. Optional: Once the album is put together, you can add embellishments onto the covers and pages in the album. I didn't add any embellishments since I wanted to focus on just getting the album done. I'm going to have to look in my stash and see what Halloween stuff I have and/or make my own to decorate the album. I'll be sure to make a post if I embellish the album. Here are some pictures of the album pages and inside covers. And that's my album. It did take a little time to make, but overall I think I did a decent job. Oh and the Tombow glue runner is awesome! It really is extreme adhesive! I still need to work on using it since I did have some issues, but it was my fault. I think I was holding it the wrong way or something because the glue wouldn't come off when I needed it to. Hopefully next time I'll be better at using it. What have you created lately? Feel free to share. Hello there and Happy Sunday. 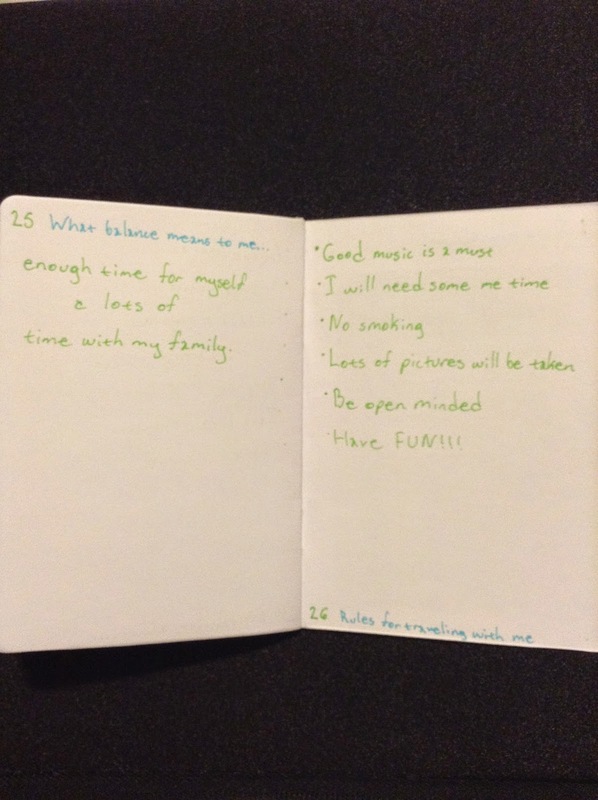 Today I'm sharing my lists (15-21) for 30 Days of Lists. 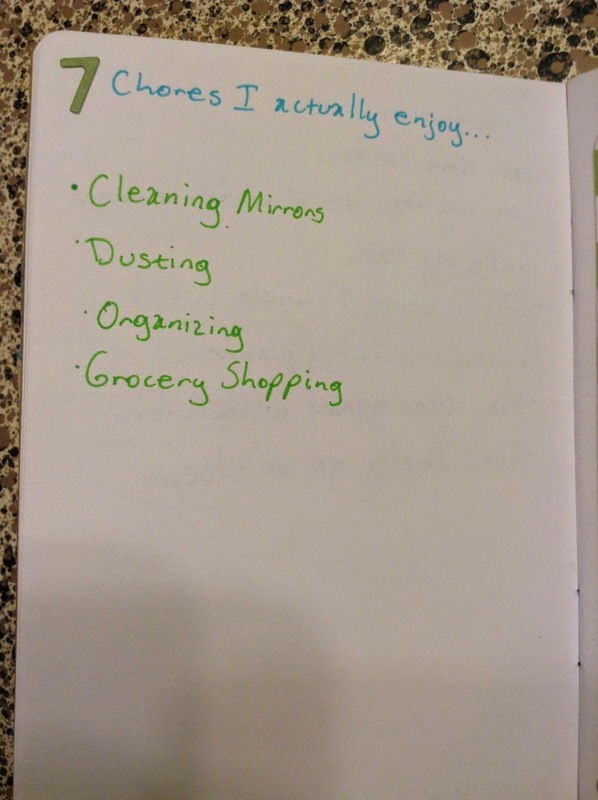 I actually completed lists 15-20 yesterday. I really like that you can play catch up if you get behind or if things come up during the week. I mainly had a cork board where I would put up random pictures on it...I never really was into putting up posters up on my wall, but my older sister loved putting up posters lol. none...I never really got into them, but I have heard that there are some good ones. Maybe I'll check out a few. That's it for today. Be sure to come back next Sunday for the next set of the lists. Hello there! 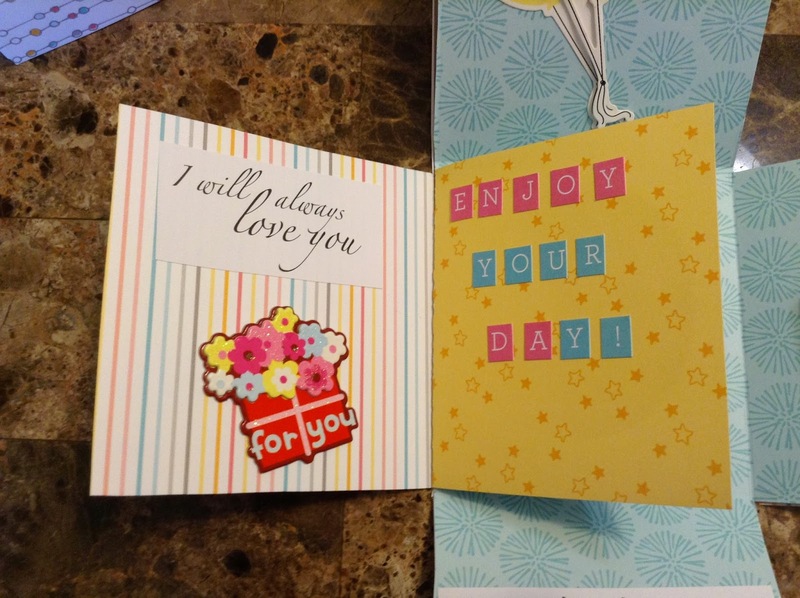 Today I'm sharing two more cards that I made using Me & My Big Ideas (MAMBI) products. I'm seriously obsessed with Halloween (my favorite holiday!) and so many of my friends are pregnant or have given birth recently so it only made sense that I would make Halloween and baby boy cards. 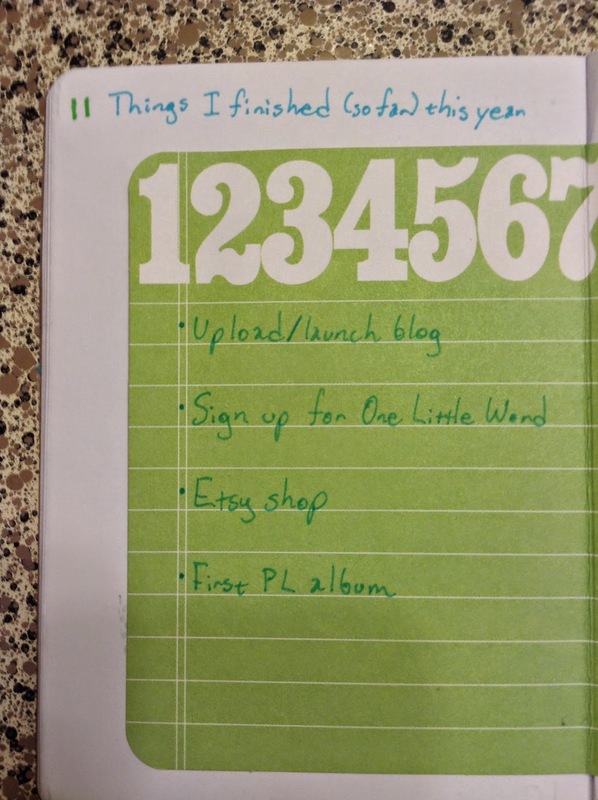 I love that you can use MAMBI, Project Life, and other brands of journaling cards for things other than Project Life albums. I use my cards for my album, handmade cards, mini dashboards, etc. There are just so many different uses for these cards. 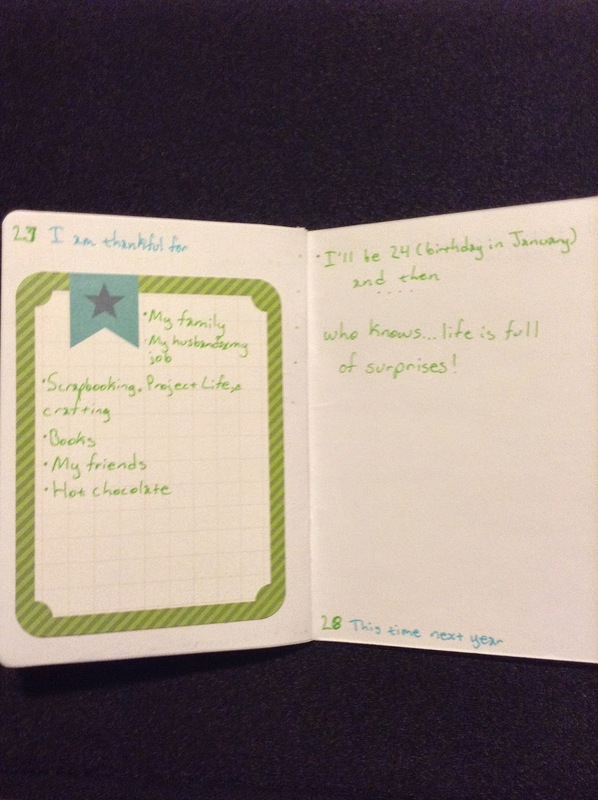 I use two MAMBI Pocket Pages cards (Months of the Year). 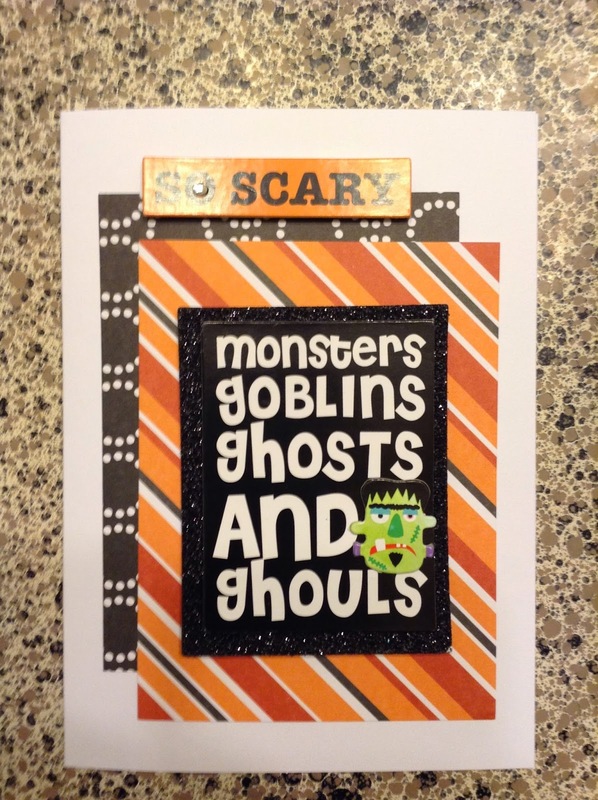 I also used some Soft Spoken Halloween embellishments as well. I just layered the cards and added the embellishments on top. Super simple and really cute! 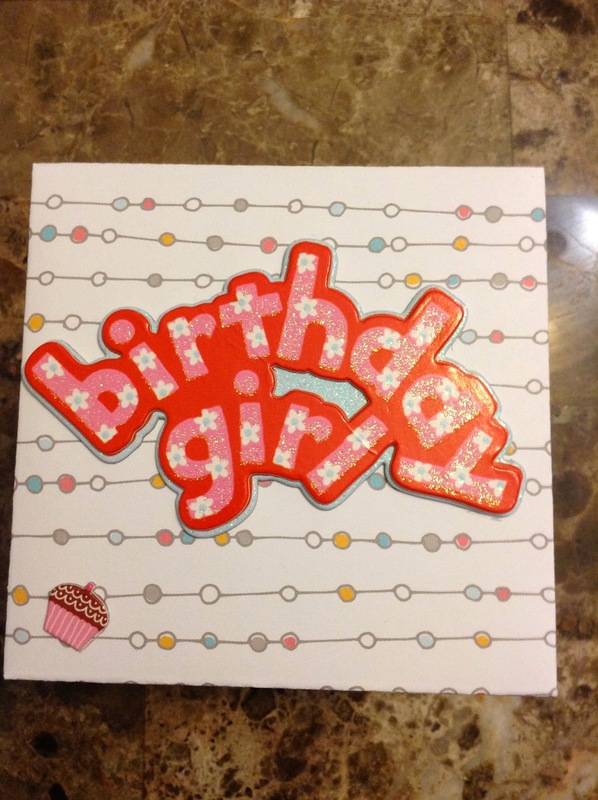 I used one of the MAMBI Embellished Cards. These cards are seriously awesome! It really helps when you do not have enough time to make cards or work on layouts since the cards are already embellished. All I had to do was just glue the embellished card onto the base. Then I added some of the Recollections enamel dots. Again super simple and easy to make. What have you made today? Feel free to share! It's been a very busy day today. I had several errands and lots of stuff on my to do list. I'm glad that I'm more than half way done with everything. I seriously need to get started on making some mini albums and mini dashboards. 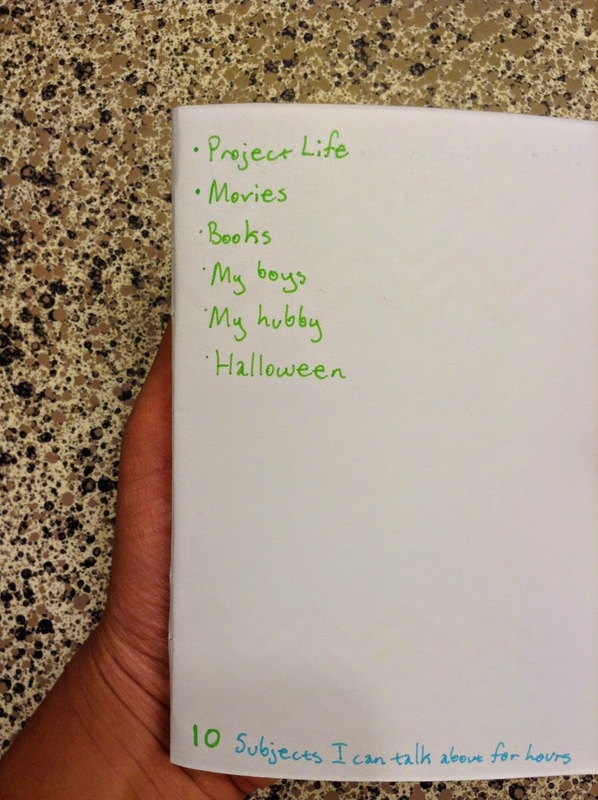 I also need to work on my layouts for Project Life as well. It's the middle of September and I'm going to get started on Christmas shopping since I'm basically all set for Halloween. I'm working on making new goals...both short term and long term. I'm having baby fever...like super baby fever! I'm even having dreams about having another baby except I keep dreaming that I end up having twins! I want to go on an adventure. I don't want to go out of state, but I want to go somewhere that I haven't been. Ok so I'm definitely going to attempt to do the "No Spend" in October. I think I'm doing ok this month. I always try to get stuff with coupons and when they are on sale which really helps. Plus I think I got everything that I need for lots of projects. I need to figure out what I want to do for my December Daily. I'm not sure if I want to have it in a Snap album or just make my own mini album. 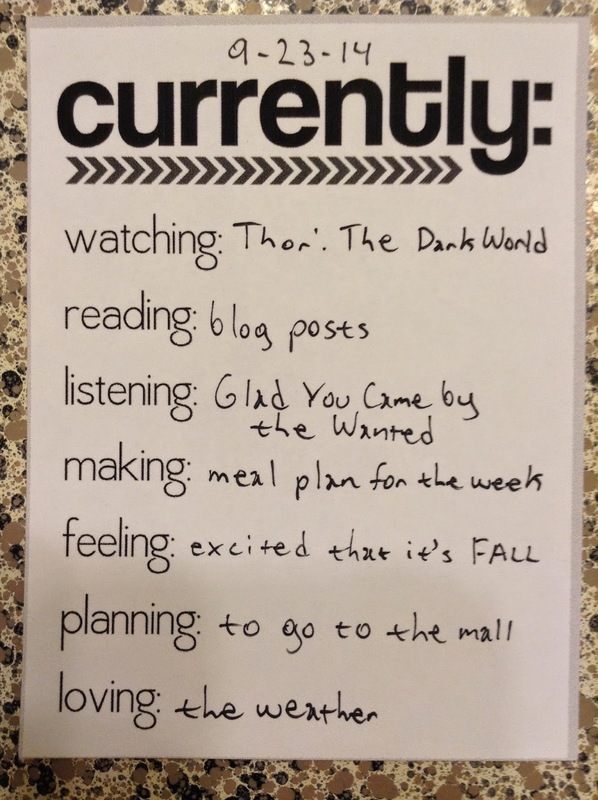 I think I'm going to participate in Week in the Life. I am trying to figure out if I should make a separate album for that or if I should just have it in my Project Life album. That's it for today. How is your Thursday going? What are your Thursday Thoughts? Hi! Today is Tuesday and it's time for another Currently List! Watching: I'm catching up on last week's episode of Finding Carter. I also have to catch up on a couple of other shows as well. 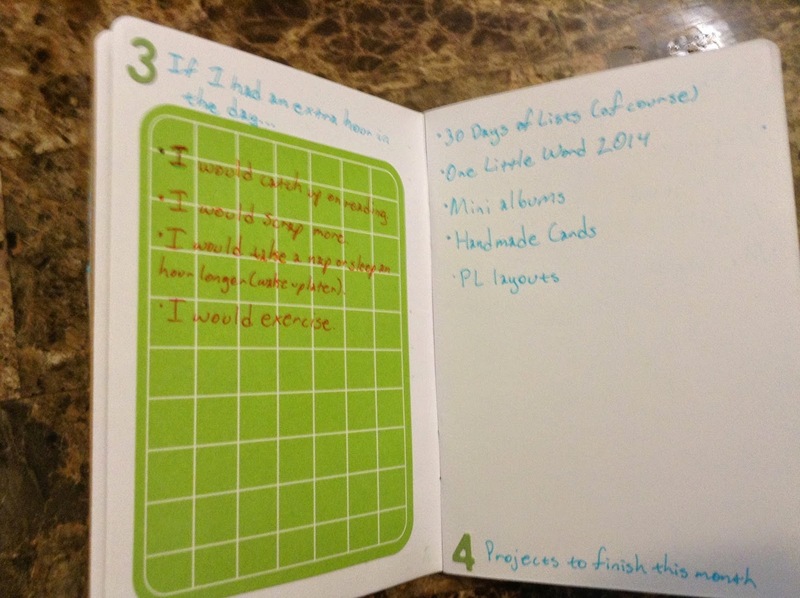 Reading: I'm trying to get some other ideas on how to use my Heidi Swapp Project Life cards that I bought. I have almost the entire collection. I have all 4 of the value kits, the Favorite Things core kit, all 3 of the stamp sets (with the stencils as well), mini books, mini files, etc. 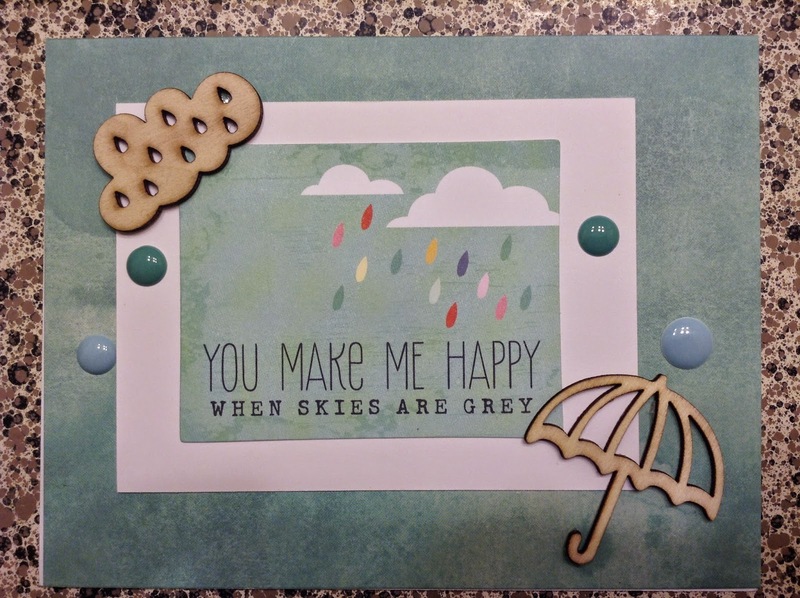 I already know that I plan to make handmade cards (for Project Life and greeting cards) and obviously use them in my current Project Life album, but I want to see what other things are being made with the cards. Listening: I've been listening to a lot of different songs especially Breathing by Jason Derulo. I love, love, love this song! I've been super sleepy all day since I've been up since 4:30 in the morning so this song has kept me up and has given me some energy. 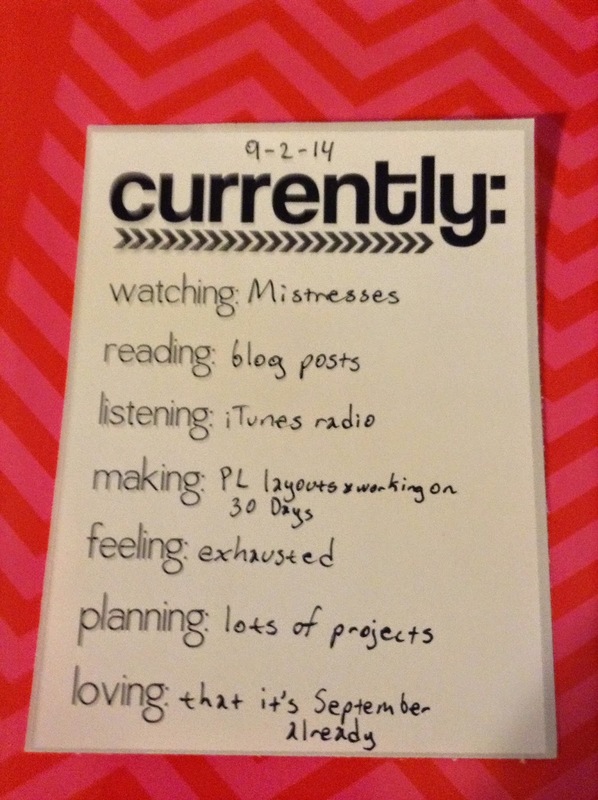 Making: I need to catch up on last week's layouts for my Project Life album. I need to figure out if I should do a traditional layout or just one with the divided pockets. I didn't take a ton of pictures and I'm so upset that I didn't take any on my husband's birthday. We went to Six Flags and didn't take any pictures since we were getting on roller coasters all day. Plus we didn't want to lose our phones and my iPod while taking pictures. 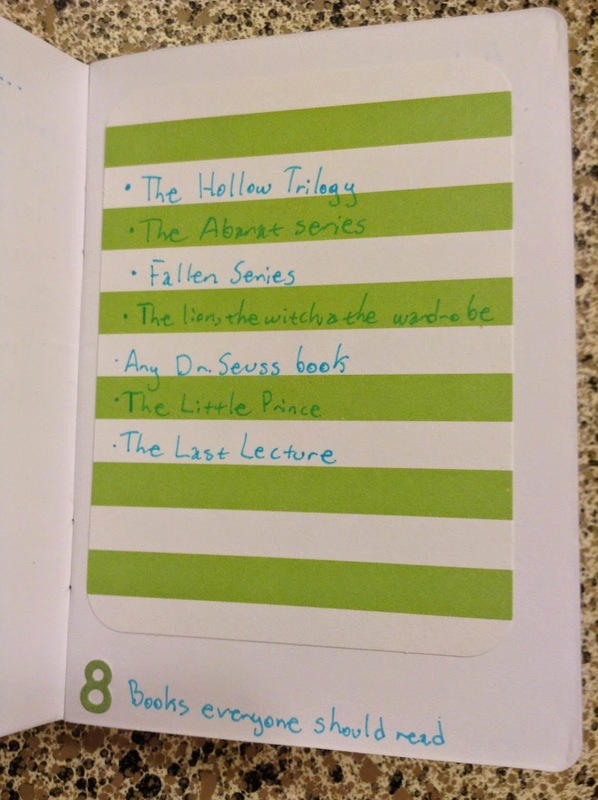 I definitely plan to journal if I decide to just make one page with the divided pockets. Feeling: (See my post about Listening). Being up since 4:30 in the morning with very little sleep is no bueno. I'm sooo sleepy. 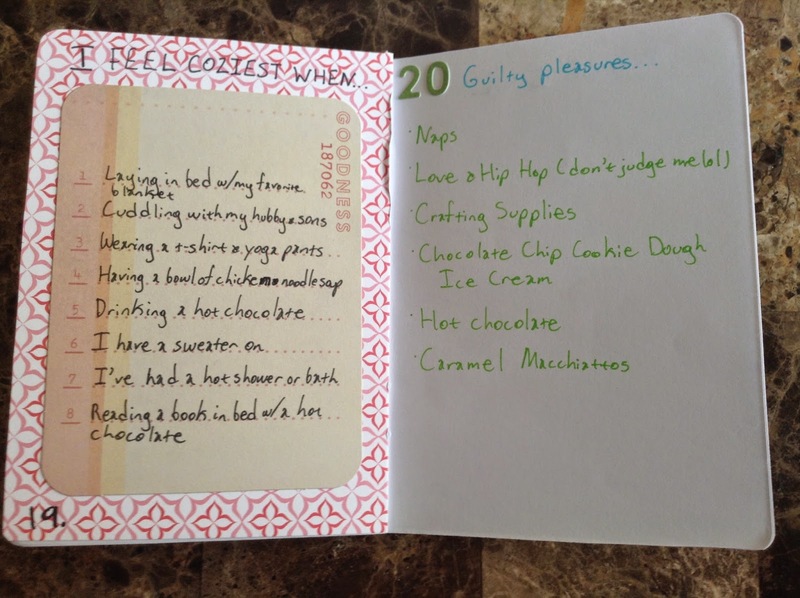 Planning: I'm planning to make some mini dashboards with some extra Project Life cards that I have. Loving: I love my family. They make me so happy. Hello! 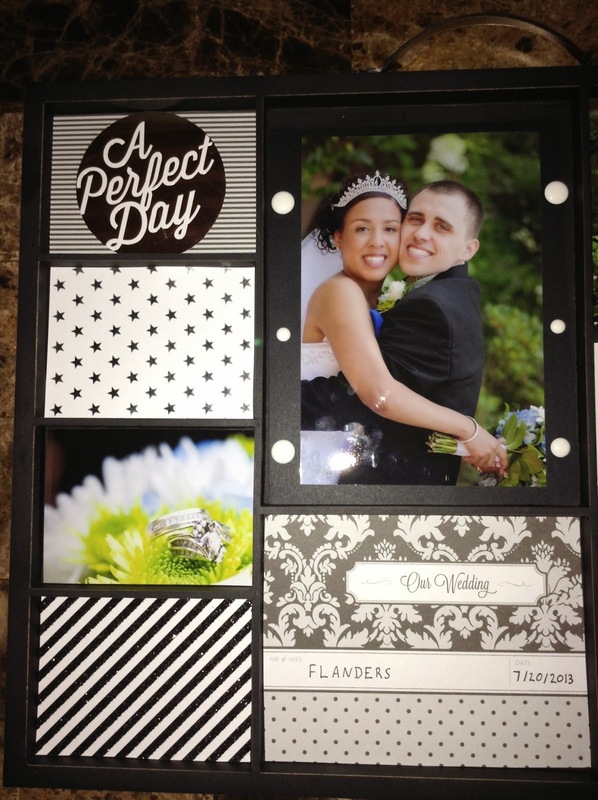 Today I am sooo excited to share with you all my wedding memory tray that I have been wanting to make for a while now. Is it bad that I have still not worked on my wedding album and I've been married for a little over a year now? I have all of my supplies, but just haven't had the chance to get started. I finally had time this weekend to work on my wedding memory tray and I love how it turned out. Here are some closer pictures of the memory tray. I apologize for the glare and/or blurry pictures. I used primarily MAMBI cards for my memory tray. 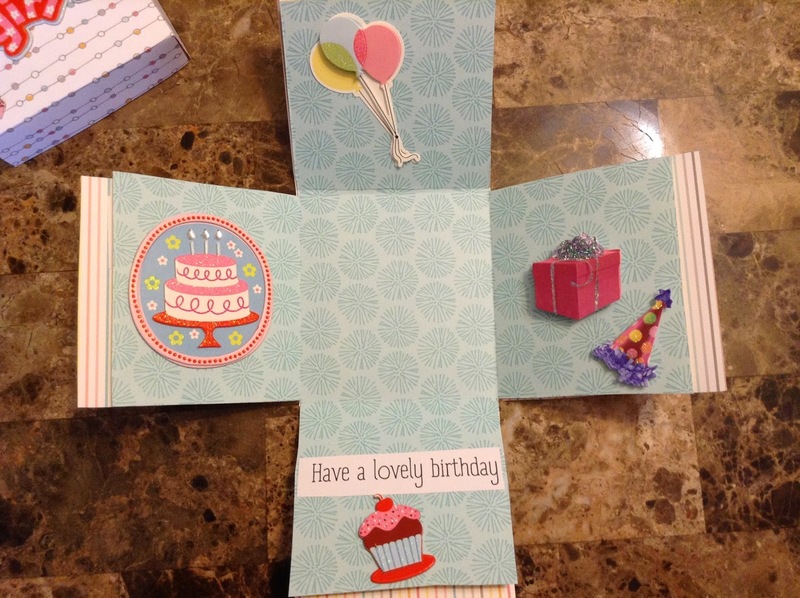 I cut out the "A Perfect Day" circle out of a MAMBI card and then glued it onto a different MAMBI card. I had to cut out the circle since it would not fit in the space. 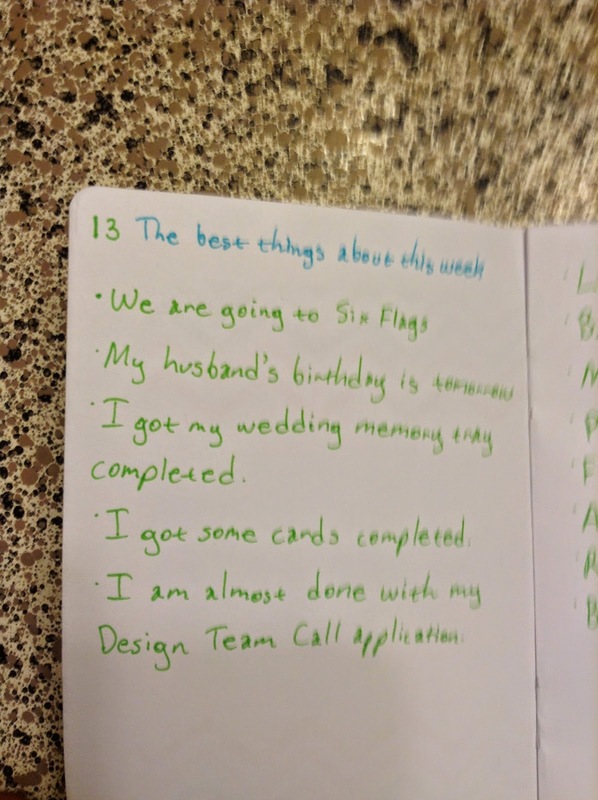 The "Our Wedding" card is actually a Project Life card. I love that I didn't have to use too many embellishments and think the tray came out perfect. 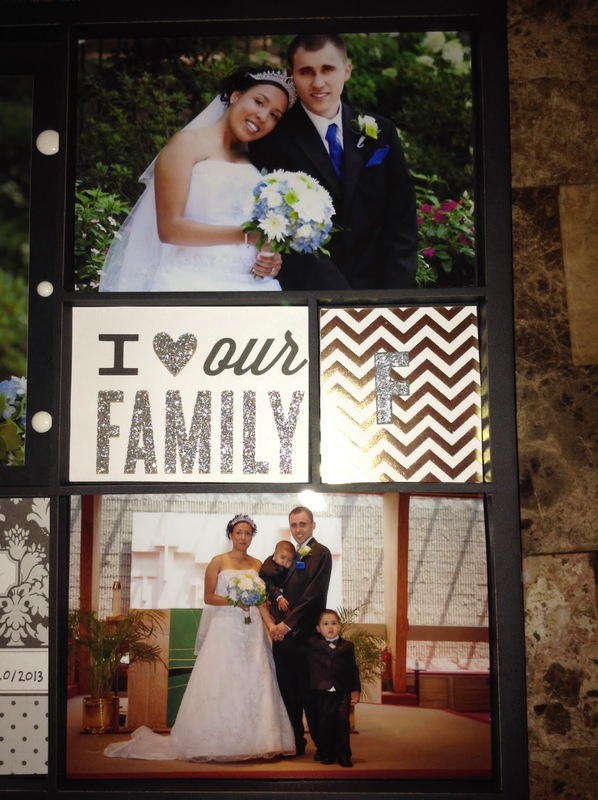 I really love the card that says "I (heart) our FAMILY". It is so true and was the perfect touch. It goes so well with the picture of my husband, our boys, and myself. I also had to add the "F" alpha letter. I love that it has glitter on it. I definitely plan to purchase some more memory trays and finish some more projects. Feel free to share your memory trays. We are going to Six Flags. My husband's birthday is tomorrow. I got my wedding memory tray completed. I got some cards completed. I am almost done with my Design Team Call application. That's it for me for today. 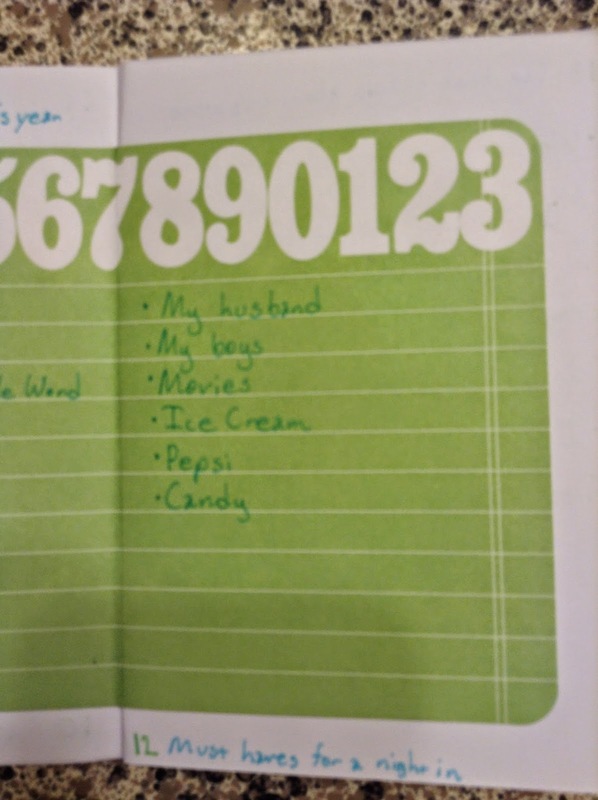 Be sure to come back every Sunday for the rest of the lists. I didn't even know how to start this post. It's September 11. I can't believe that it's been 13 years already. I remember where I was and what I was doing on that day. I'm from New York City and lived in Virginia when the attacks occurred. It still hurts my heart today and I pray that nothing like that ever happens today. My thoughts and prayers goes out to all of the families who were affected by this tragedy. My oldest son is not feeling well and did not go to school today. Hopefully, we all do not get sick again. He's feeling much better now and we are all so happy. I'm going to start using watercolors in my art journal as well as use watercolors on some handmade journaling cards. I've been seeing lots of cool tutorials on different blogs and Facebook pages. 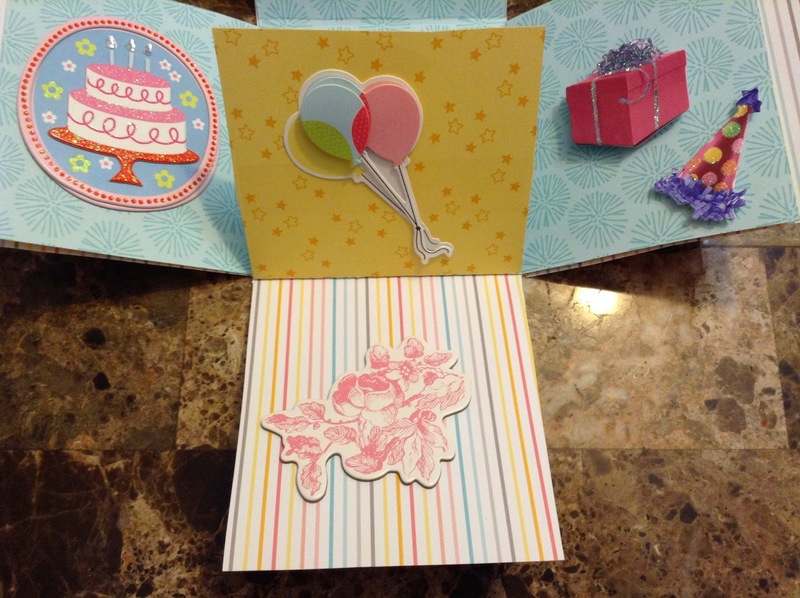 I've been hearing a lot about handmade card challenges and journaling card challenges. I'm actually considering joining in on some of the challenges. I heard about a few Design Team Calls and I also have to get started on some layouts and projects for that. I'm super anxious about actually applying, but I'm going to try it. I can not wait for Halloween! I'm sure I mentioned this before, but we got the boys their costumes and their accessories for the costume. I also bought some Halloween goodie favors and had some extra goodie bags left. So now all I need to do is buy Halloween treats which are already being put on displays at stores! So I guess it wouldn't be crazy if I bought a bag or two now. Now I just have to get ready for Christmas! Watching: I love this show. It seriously gets better every day and I love that it comes on Monday-Friday! Reading: So the Food Network Magazine and Everyday with Rachael Ray magazine has some really awesome recipes in the current issue. I found several copies that I plan to make in the next few days and weeks. I also love that in one of the magazines, there is a section that has the essential equipment and ingredients that should be kept in a kitchen. Listening: I swear I keep hearing this song everywhere and all the time! It can get annoying, but I still like the song. 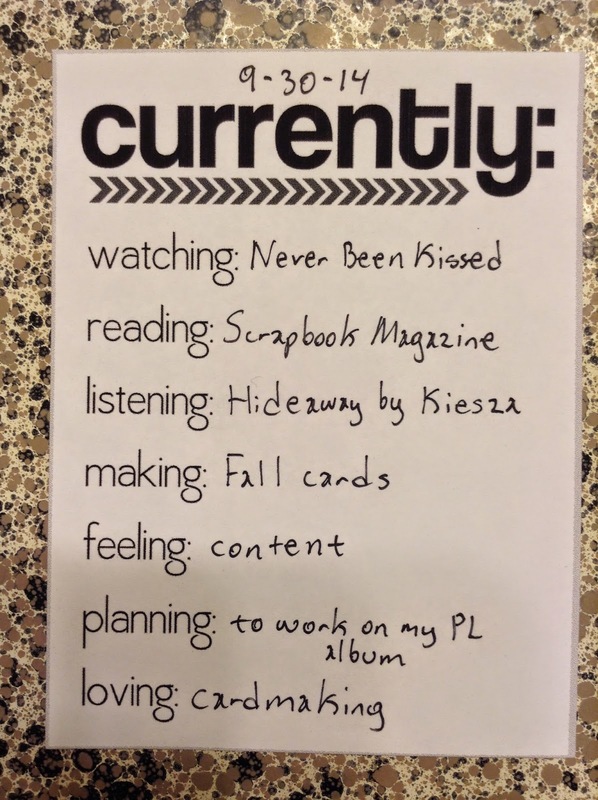 Making: So I definitely need to work on last week's PL and I'm glad that I did work on it a little. I haven't glued anything down, but I have an idea of what I want the spread to look like. Feeling: I'm feeling overwhelmed, tired, and just irritated. Since I was sick and in pain (I think I may have had the flu or just a really severe cold) for about a week and a half, all of my plans have been pushed back. Now I feel overwhelmed since I have so much to do. 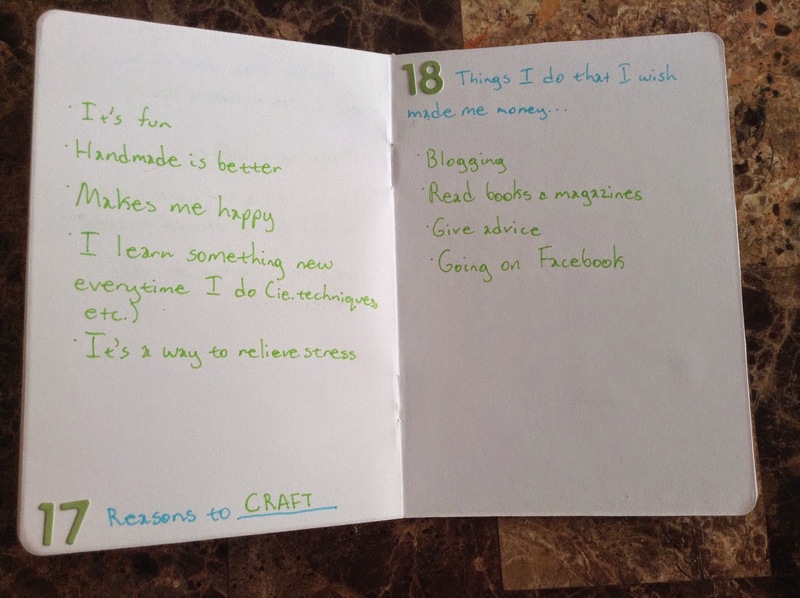 Planning: I have several layouts and cards to make for the Me & My Big Ideas Design Team application. I'm really excited for the chance to apply and hopefully I get picked. Loving: There are just so many possiblities and opportunities out there...and I'm just excited. Hello there and Happy Sunday! 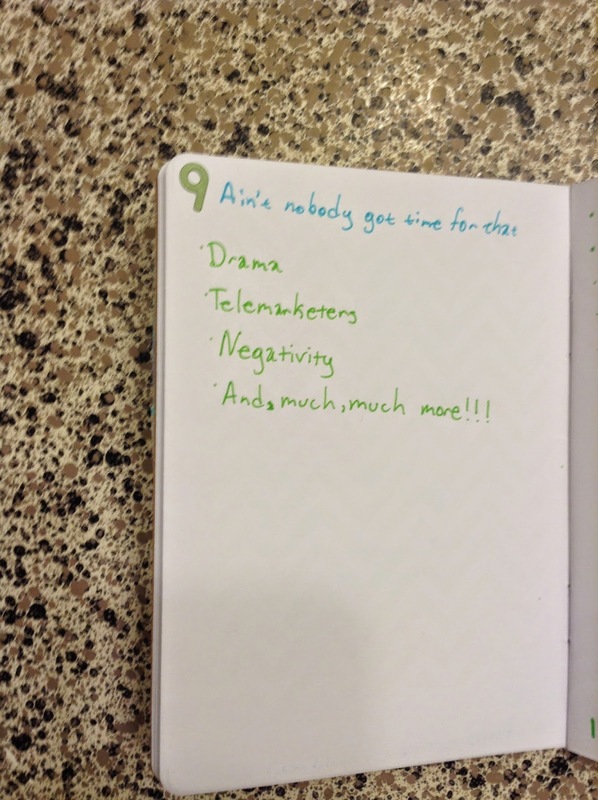 Today is day 7 of 30 Days of Lists. I plan to post a week's worth of lists every Sunday. Today, I am posting lists 1-7. 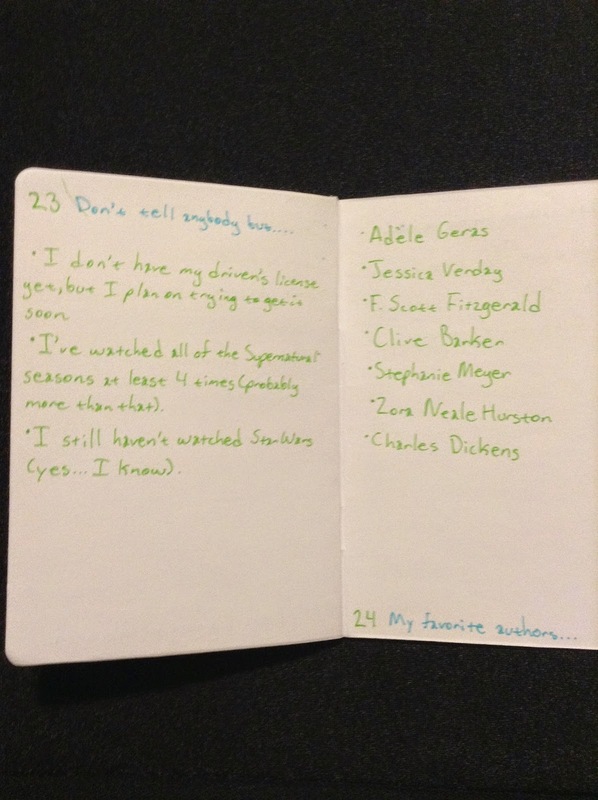 I didn't embellish my pages a lot, but my main goal is to just write the lists down. That's it for me today. Be sure to come back every Sunday for the rest of the lists. My little sister's birthday is in October and I already know what I'm going to get her! Since I already knew what I was going to get her, I decided to make her a card as well. I've made her gift card holders and a card or two before, but this time I wanted to make an explosion box card. I first heard about explosion boxes on Dancing Quinn. She made the most gorgeous box ever and I had to try one. There are a lot of tutorials on how to make an explosion box, but I used this one. I did a practice one on just patterned paper and I automatically knew why card stock is recommended for the base. I tried it again, but I made the lid too small. My third attempt was the most successful and I really love how it turned out. Here are some more pics of the explosion box. I plan to put a small box or a mini cake box in the center and put some money in there. So the explosion box would basically be a mini album/book/money holder. I hope she loves the box and I will be sure to make some more explosion boxes in the next few weeks. This was definitely a fun project and gift to make. Hello there! It's Thursday and it's time for another Thursday Thoughts. 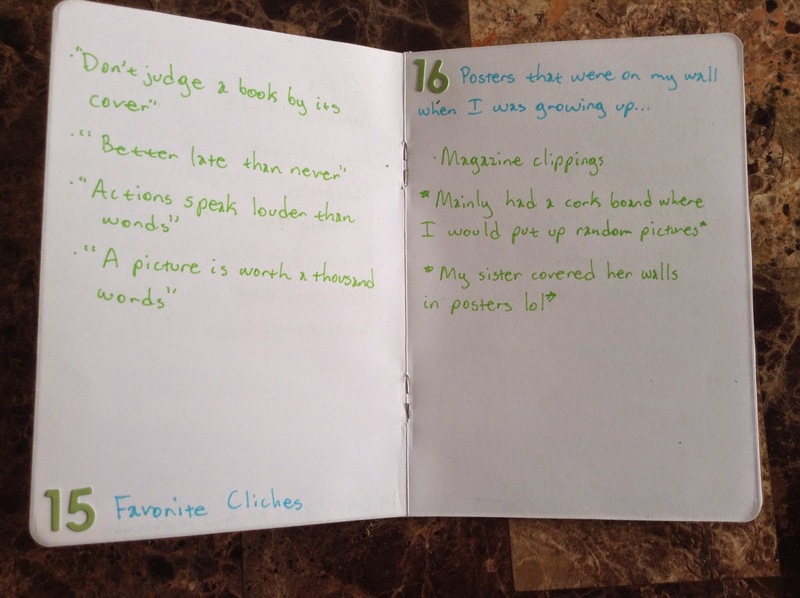 Check out Jennifer's blog over at Ramblings of a Suburban Mom for her Thursday Thoughts link-up. I'm still sick and am feeling just...blah and ew. Now the boys and my husband are sick as well. So for most of the day, we just relaxed and took a nap. I am finally caught up with all of my Project Life layouts and I'm so excited that I get to start working on my new album this week. 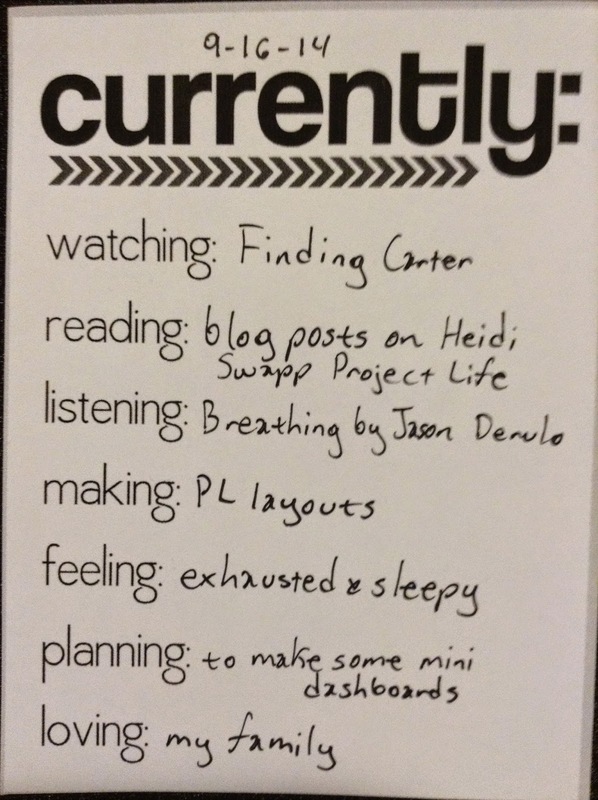 Hopefully, I feel better soon because I just can't wait to dive in and try hybrid Project Life. I seriously can't wait for Halloween. We already bought the boys their costumes and the accessories that goes with it. I'm thinking of dressing up this Halloween as well. So I am supposed to do a No Spend for September, but I don't think I will be able to make it. I did end up having to go to Michaels and Hobby Lobby because I did need and want some Project Life dividers for my new album. Of course, neither stores had them at all and there was not a space for them either so I don't think they even carry it at all. I just ended up purchasing some of the new Heidi Swapp epoxy stickers. Speaking of No Spend for September, I think I may have to alter it and just set an 'allowance' of just $20. I think that would be easier rather than completely doing a No Spend for the month. It's kind of hard since there are so many birthdays coming up and there are some things that I do not have in my stash (mainly some embellishments that I have run out of) that I would need (and want) to get to create gifts. I made my little sister an explosion box card for her upcoming birthday. I love how it turned out. It was a little hard to do at first. I actually made one out of just regular paper just to test it out and then I tried again, but I didn't like how it turned out. Finally, on the third try, the box turned out pretty cute. I have to admit that I was about to go out and buy some supplies, but I am proud to say that I didn't and used what I had in my stash. I definitely will be posting about the box in the next few days. I just heard about Joan Rivers' death and I just feel so bad for her daughter, grandson, and her friends. From all the stories that her friends are saying on E! News, it sounds like she was such a kind lady. I don't watch E! much, but when I did, I loved hearing Joan's jokes. Hello there! It's Tuesday and it's time for another Currently List! 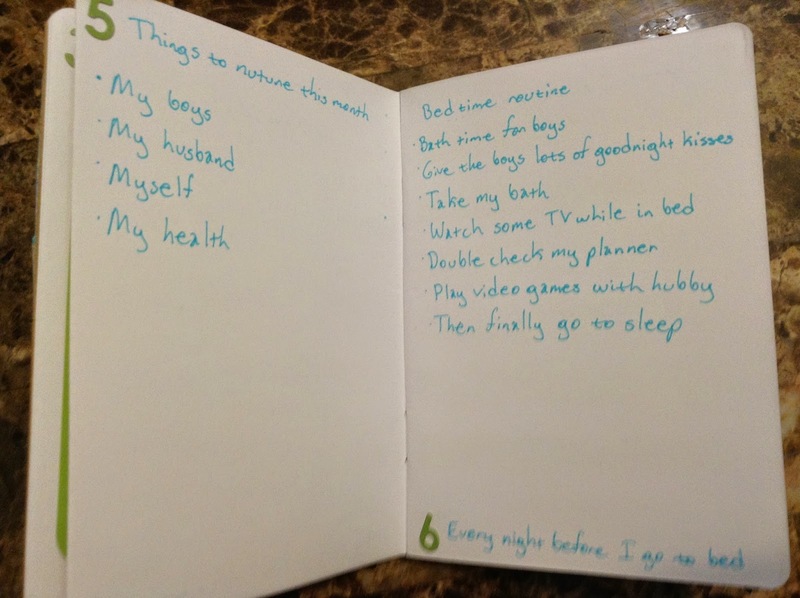 I still love filling out these little lists! Watching: I'm catching up on last night's episode of Mistresses. Seriously, I love this show! I definitely recommend everyone watch it. 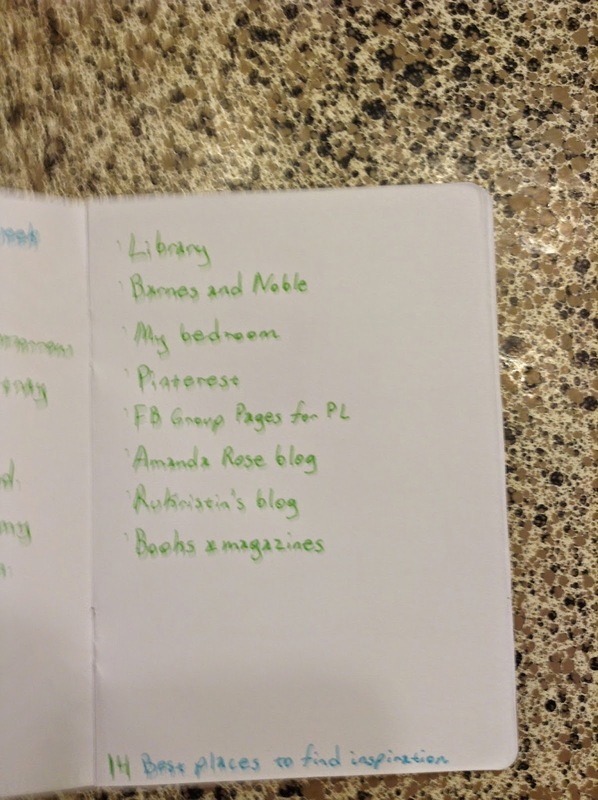 Reading: I've been reading lots of blog posts from Dancing Quinn, Amanda Rose, and Rukristin. Listening: I'm listening to iTunes radio. I've been changing stations a lot today, but I have been sticking to Pure Pop station, Weekly Top 50 Hip-Hop/Rap, and Latin Urban Radio. Making: I am still working on a few weeks of Project Life layouts and am already planning to work on this week's layout as well. I bought a new album a few days ago and this week will go in that album. I plan to do a spread every week that includes a traditional layout on one side and then the other side will have divided page protectors. Feeling: I'm so exhausted. I had a ton of to-dos and errands today and it has wiped me out. I think I may call it a night early today as well. Planning: I keep finding tons of projects, tutorials, etc. that are just way too awesome. Now I want to try them all. I'm planning to make some cards, mini books, and this super cool "explosion box" that I found on Dancing Quinn. It is just too cute! Loving: I'm so happy that it's already September. Fall is almost here and my husband's birthday is coming up as well.